SW-MOTECH Quick-Lock GPS Holder mount uses existing handlebar fixing screws to provide a secure, flat mounting surface with an adjustable viewing angle and height. This accessory mount uses existing  handlebar fixing screws to provide a secure, flat mounting surface with an adjustable viewing angle and height. 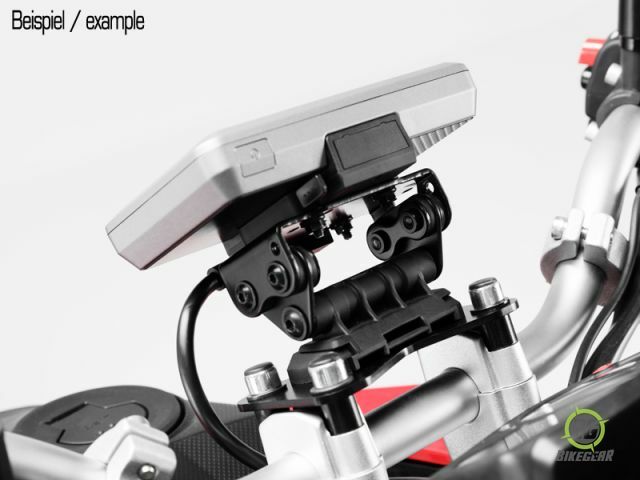 The 8 pre-drilled M6 mounting holes allow easy direct attachment of your motorcycle accessories. Pre-drilled holes are perfectly positioned to attach any RAM-B-238-compatible RAM mounts (sold separately) OR a TomTom Rider GPS. 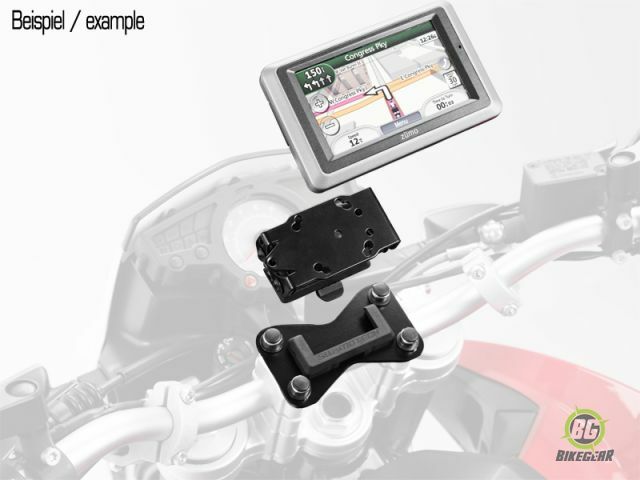 Originally designed to allow easy, direct attachment of a Garmin Zumo 450, Zumo 550 to the Suzuki V-Strom. It also attaches the Garmin 2600 or 2700-series GPS units (using several RAM components) to the V-Strom, but also works with many other electronics. Not compatible with 2002-2003 DL1000 V-Strom. Vibration-Damped GPS Holder by SW-MOTECH. A Wide variety of compatible GPS Bags is available.